So, onto the second League game, the first at home for us and it’s against none other than the revitalzed Liverpool. With no Gervinho, no Song, no Wilshere, no Gibbs, no Djourou, no Rosicky and no Diaby (when was the last time he played?!) you start thinking that this game is over before it even kicks off. However, no need to be alarmed, you may if it do you any good, as we have Miyaichi, Jenkinson, Frimpong and Nasri (might be his last game for us before he departs) available to replace all of the above. While Liverpool may have Suarez, Carroll, Adam and Downing, they also have Carragher, Enrique and Flanagan. The Scousers might be favorites to edge this one out but they won’t have it easy themselves, unless we make it for them. This will surely be a game where one team exploits the others weaknesses and comes out on top. At the moment, we are losing the battle in terms to having more problems. However, games are not decided on paper and the team that best utilizes its resources on the field may get the maximum today. For us, the biggest problem today will be to find the right starting eleven. With having so few options due to injuries and suspension, one wonders what Wenger will be going through right now! Who will play in the centre? Who will be at left back? Who will start on the wings? Are just a few questions every Gooner will be thinking about. If I have my way, I will go with Vermaelen, Koscielny, Sagna and Jenkinson at the back. Upfront, van Persie will of course lead the line and on the flanks I will go with Walcott and Arshavin. Bringing on Miyaichi and Oxlade Chamberlain later in the game to terrorize Liverpool’s fullbacks further. What we have witnessed in the last two games is missing the creative spark in the middle. With Nasri we can solve some of the problem today. If he, Arshavin and van Persie can combine well, we will have some good openings. And with Walcott and Ramsey, I am confident we can have a game on our hands. We will need to exploit their full backs by using our pace on the wings as it is their week area too. With quick passing and movement we can catch them by surprise. Chances might be few for us, so, whatever comes up will need to be taken. At the back, Jenkinson will need proper cover as he wasn’t comfortable back there against Udinese. And against Liverpool he is in for a much difficult time. To counter, I will keep Frimpong close to him and ask him not to venture forward unnecessarily. Vermaelen too will need to provide him support. The midfield will have to stay close to the defense when under attack. Liverpool, we know, will use the pace and skill of Suarez, the height of Carroll and the intelligence of Adam in the midfield to expose our backline. We may have kept a clean sheet in our last two games but today will be the first real test of our defense, even though it is a makeshift one. So, we will need to put in more of the good stuff today. Before I conclude, I want to add that if Nasri does start for us, we will have to keep our feelings towards him in check for the duration of the game as he will be out there to help us win the game. And unsettling him during the game will not help us much. Not an ideal situation but we will have to go with it. Keep your fingers crossed and enjoy the game. Have a good day! The overall performance of the team was not up to what we have displayed in the last two games. Our passing and movement was slow and we weren’t decisive enough. We still had plenty of possession but it was of no use as Leeds easily defended whatever we created. We improved greatly when Fabregas and Walcott were brought on though. The defence was not bad but there were few occasions where we were caught sleeping. Djourou clearly was a beast there and Szczesny was excellent. In the middle, we did create a lot of chances but the passing tempo was slow. While upfront, no one really made an impact despite presented with lots of chances. Walcott was the one who made the real difference. Szczesny (7.5): Great keeping. Kept us in the game when it was level and also when we were a goal down. Nearly saved the penalty and overall good decision making from him. Eboue (7): He was a constant threat while going forward. At times however was caught out of position at the back. Some of his crosses were really good. Squillaci (5.5): Not impressed by his outing today. He should be the one with experience and confidence and today he himself looked short of both. Some of his decisions were poor. Djourou (9): This man impresses every game. We would have lost today if not for him and Szczesny at the back. Reads the game really well and was always present at the right place at the right time. Made some vital interceptions and clearances.Was strong in the air and on the ground. Top performance!! Gibbs (6.5): A good game by him while returning from an injury. Some of his runs and crosses were good. Song (6): Looked unimpressed by the proceedings. Still did most of the things correctly. Rosicky (6.5): He started very brightly and helped our game flow. His movement and touches were good however lost it in the later parts and was rightly substituted. He also gave away the ball at the wrong place on a few occasions. Denilson (5): I don’t know what to say on him. Some of his shots were great as they tested the keeper. However, he just doesn’t have pace and strength. Gave away a silly penalty too. Arshavin (5): I am at a loss as to what has happened to him. He is a genius, a master in his game if he plays, sadly most of the times he doesn’t. Nothing went right for the Russian today as he did try on a few occasions. On others he simply didn’t. Should have scored the opener on Rosicky’s lobbed pass. However, showed good technique on a few shots. Chamakh (4): Another bad performance from him. IMO he is feeling the rigors of the Premier League. Bendtner(6): Started the game well but went onto miss plenty of chances. Landed most of his headers over the bar. Subs: Fabregas (8.5) changed the game when he came on. His presence increased the momentum of our passing and we looked more of a threat. Great composure while taking the penalty. Walcott (8) also made a big impact when he came on. Made some good runs and used his pace well. Still should have scored at the end when he shot the ball straight to the keeper. Vela (no rating) had very less time to make impact. I will conclude by saying that we have to put this behind for now and look ahead to our next game. We still have a chance to qualify for the next round and hopefully when we face Leeds at their home we will get the job done. Simply disappointing. A match is played over two halves and I guess our team didn’t realize that they had to play the second half. We were given an opportunity last weekend and we have simply blown it. I guess we cannot keep it simple and have to lose because Chelsea lost last weekend. How many times have we seen that we throw away a match that we are dominating? We just lose our focus. Complacent again? I don’t know but that second half was very painful to watch as the Spuds took the match away from us. It’s also another loss at home and that is twice in a row now. Perhaps we need to bring our hopes down. We can forget the title at the moment and give it a go at the cups, the only realistic chance of a trophy this year. The game started with us keeping better possession and creating good goal scoring opportunities. The Spuds were chasing shadows. We were rewarded for our good play in the 9th minute when Fabregas flew in a brilliant lobbed pass down the middle. Nasri got on the end of it. His touch took the ball away from Gomes and it seemed it was going out before Nasri’s touch spun the ball over the line from a tight angle. Fabregas had a chance to put us two ahead but his shot wasn’t on target after he brilliantly made space for himself with a nice touch on a pass from Song. We got our second on a counter when Fabregas fed Arshavin on the left. His cross was deflected by Chamakh into the back of the net. Two goals up and the rest of the half was all Arsenal. Near the end of the first half our defenders were tested a bit but there was no clear cut chance for Tottenham. We in fact could have gone a third goal up and put the match to rest if Chamakh hadn’t made a terrible mess of a good ball form Fabregas. Still we were two goals up as we headed into the break , we were dominating the possession and it looked like we will get this match. The catch was if we had kept it simple and played the same way but of course we don’t keep it simple. I don’t know why we have to make things hard for ourselves. The second half saw rejuvenated Spuds and we simply didn’t raise our game to their level. We were still keeping the ball nicely but at the back we were playing a dangerous game. We were attacking the ball early and keeping a high offside trap for which we were punished. Spurs got the early goal they wanted as our backline was caught ball napping as it went over them. Van Der Vaart, who was terrible in the first half, got the ball from defoe and passed it along to Bale, who was quite in the first and he put it into the far corner. They were back in the match. Two of their players who we had kept quite in the first half opened their account. Still we had the match under control. Chamakh again had a chance to make it three for us but he was simply slow to take the initiative. That allowed the Tottenham defence to close him down. At the other end Tottenham got a free kick. As it was delivered in, standing at the wall, Fabregas and Chamakh both raised their arms into the path of the ball. The ref pointed to spot straight away. I don’t know what happened to Fabregas and Chamakh but that was embarrassing and unbelievable. Van Der Vaart from the spot kick sent Fabianski the wrong way and they were leveled. We still would have taken the match. Fabregas’ curling shot was saved by Gomes and Koscielny had an open net to head in but he made a mess of it. Van Persie, Rosicky and Walcott were thrown by Wenger but they didn’t make much impact. At the other end Tottenham were looking threatening. They had another free kick which was delivered in by Van Der Vaart. Kaboul got in between the defenders and headed the ball into the far corner. Poor defending. The spurs were ahead for the first time and there were only 5 minutes of normal time let. We tried to get a goal back but it was not enough as the time ran out. Painful ending to a match that should have been won by us in the first place. Tottenham got their first win at our home in a long time and I simply cannot register the fact that we have lost to them. This is two games in a row now we have lost to the Spuds in the league. And the fact that it is our third loss at home this season makes it all the more astonishing. It was just another pathetic display of football by us in the second half. It is becoming more of a norm now I guess. I am not going much ahead but this match is simply going down the drain for me. All is not lost yet but what more can we expect. From now on it will just be match at a time and I am simply not going to expect much until we really achieve something. 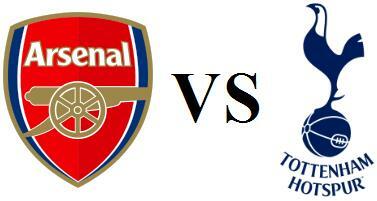 Arsenal vs Tottenham preview: A chance to go top! A win is what we want! Clinical! That was one clinical display of football. It was the brilliance of Arsenal in the final third that proved to be the difference this time as we made it look simple. Just a quick thought because I am tooooooooooooooooo angry and disappointed to write something. We were poor for the more than an hour, our defence was in shambles, no proper marking, too much space was given, letting the Albion players come to them, not eliminating the threat early, giving the possession away many times, not clearing the ball early, lethargic display, our passing was poor, Almunia, though he made the penalty save, was ‘no comment’, just everything in the first hour was bad about Arsenal. I had said before the more time we take to kill the match the more Albion will fancy their chances. That’s what happened, our play was pathetic and Albion took the initiative. The only good thing is that we didn’t give up until the end and Nasri was brilliant in the final 20 minutes. Still we want all the players to perform like that from beginning and not when we are three goals down. That’s three points dropped for sure and here I was thinking that by tonight we would be only a point behind Chelsea. That’s all. When I get my anger to subside, I will write something good and positive about Arsenal from this match. Have your say in the comments. p.s. still can’t believe it that we have lost! Fractured Fibula: Bacary Sagna out for three months!